It was a carnival time at Adelaide Oval on Sunday. In what was the most viewed cricket match ever, India took on Pakistan as both sides played their opening games in the ICC Cricket World Cup 2015. 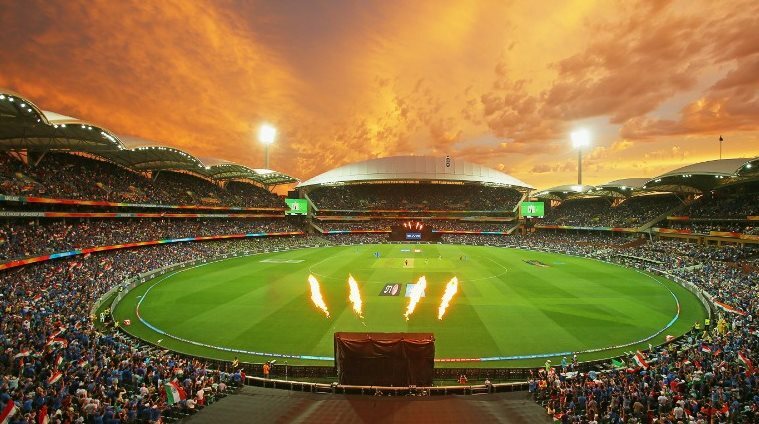 The marquee cricket World Cup match between arch-rivals India and Pakistan in Adelaide on February 15 will be the most watched in the history of the game as it attracted more than a billion viewers, according to a report. The most viewed match was also the most discussed one and it’s true a India-Pakistan match deserts the streets and creates a curfew like atmosphere. 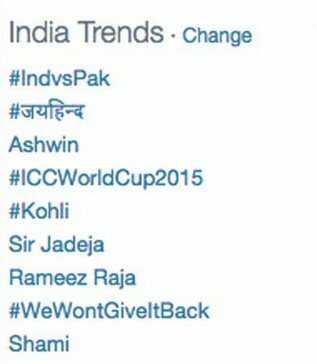 For major part of the day, the top10 trending topics in Twitter for India were about this match. Sutherland noted that tickets for the India vs. Pakistan match were gone within minutes — and that was almost a year ago. 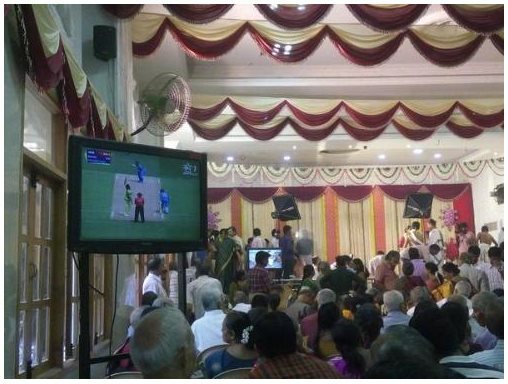 The picture showed a wedding in India that had a live monitor of the match mounted inside the wedding hall — as the ceremony itself was taking place. Each and every topic was discussed about this match, some poking fun, some expressing glee and some out of frustration. Like the match connected the fans, the entire nation got together on Twitter. In fact, the match even trended in the worldwide trends and of course in Pakistan.